Casebound notebook contains 96 sheets of ruled, 24 lb. quality paper. 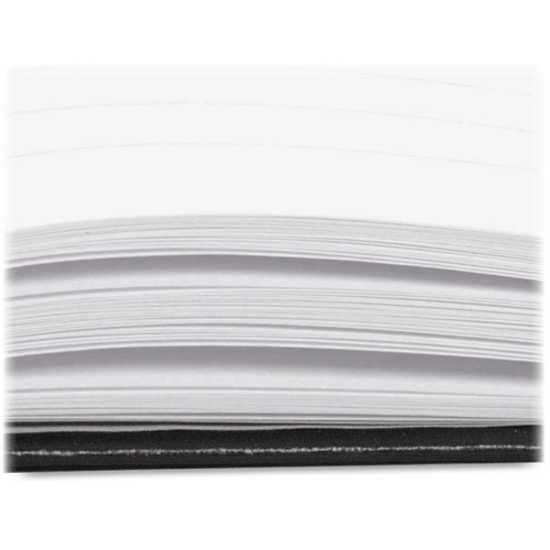 Thick paper ensures that both sides of the paper can be used. 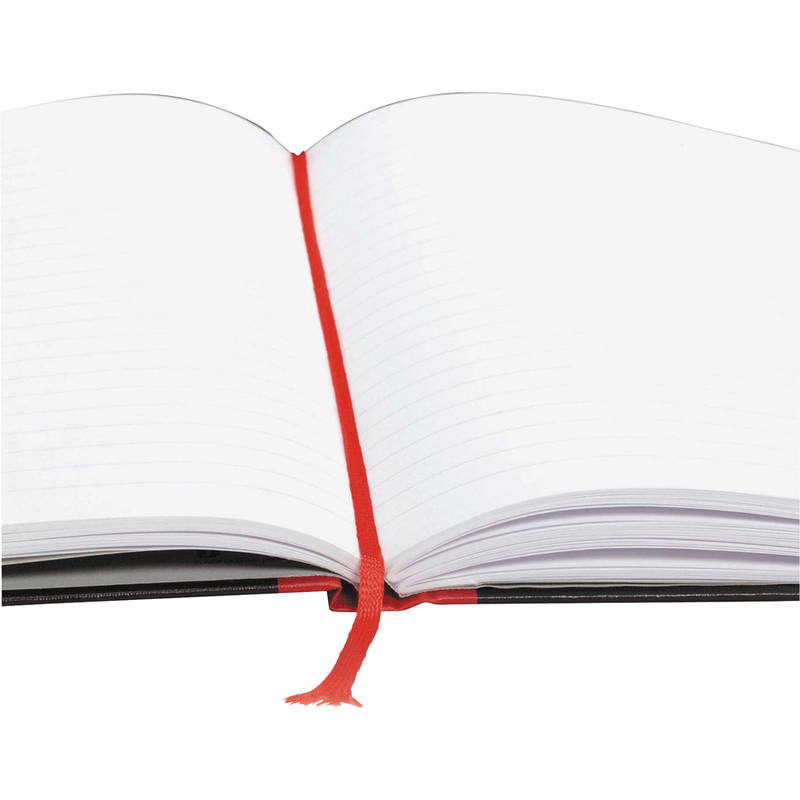 Strong, durable, hardcover section sewn notebook is ideal for permanent record-keeping. Sewn-in sections keep pages secure. 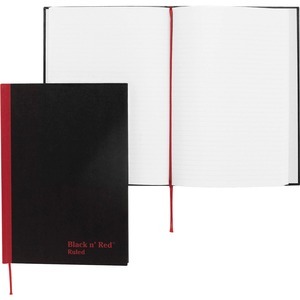 Notebook design also includes a fashionable black cover, red spine and ribbon marker for quick page referencing. Sheet Size 5 5/8" x 8 1/4"